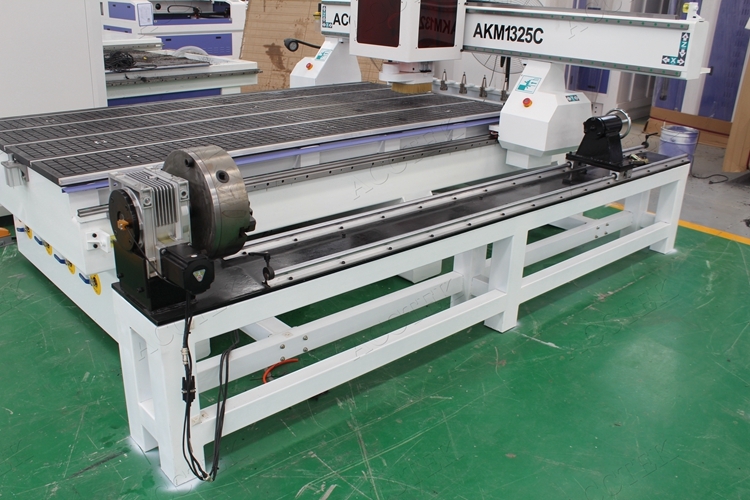 Woodworking cnc router machine AKM1325C for wood furniture. 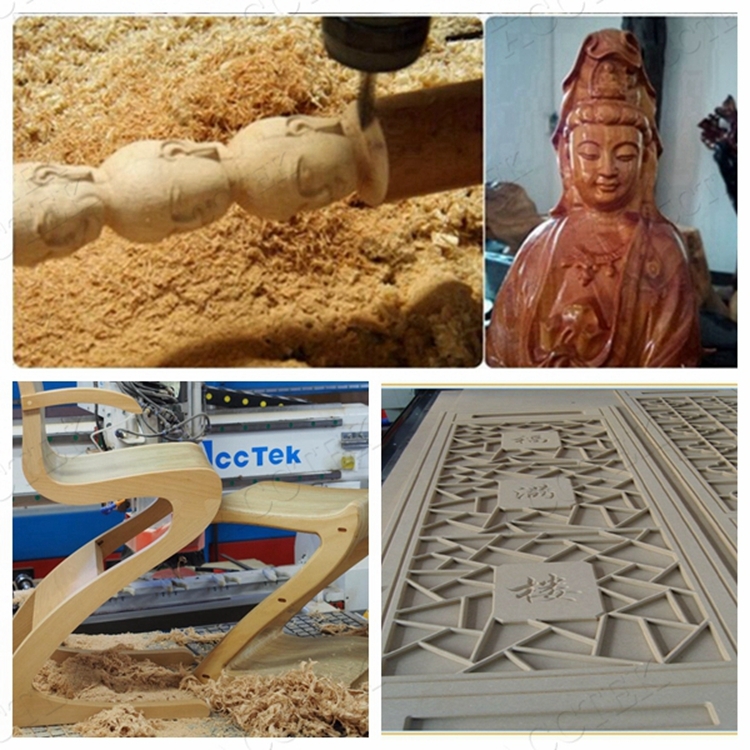 Main Features of cnc router machine AKM1325C. (1).8pcs linear tool holder.Auto tool sensor. 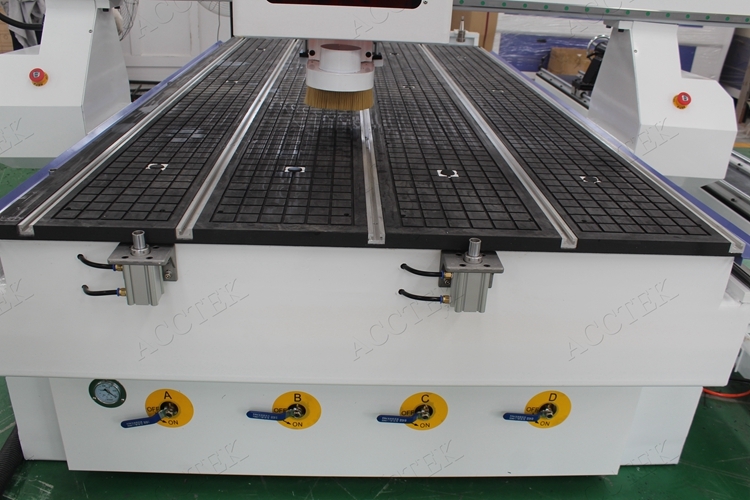 (2).Vacuum & T-slot combined worktable. 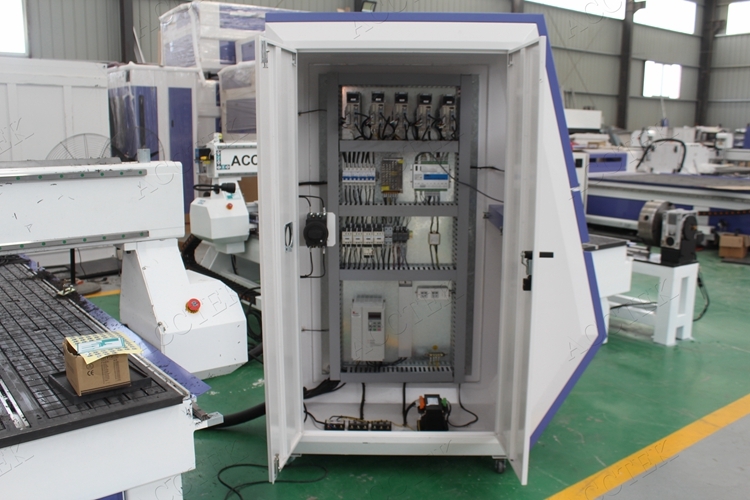 (3).Control box: Taiwan Delta servo motor, Delta inverter,Filter,power supply etc. 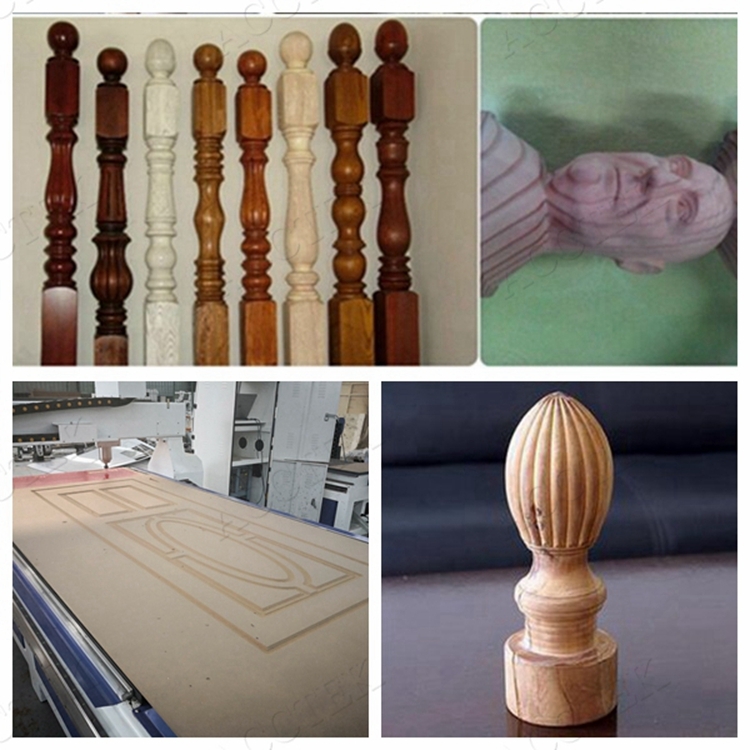 AKM1325C cnc machine working samples. 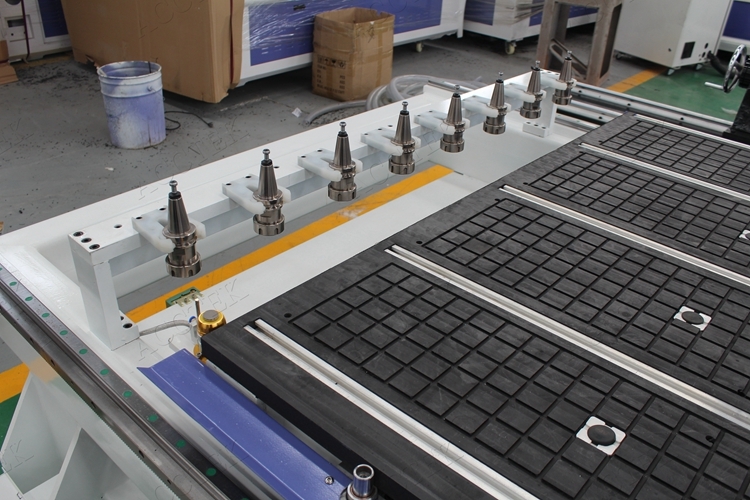 4) Plate processing: insulation part, plastic chemical components, PCB, inner body of car, bowling tracks, stairs, anti bate board, epoxy resin, ABS, PP, PE and other carbon mixed compounds. 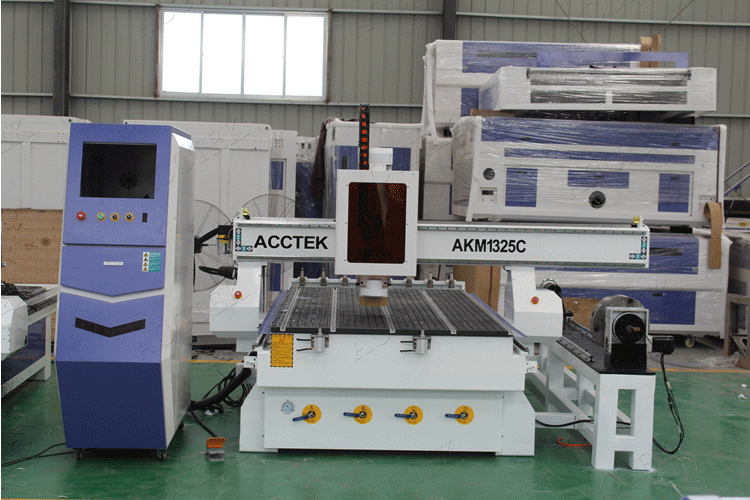 Technical Parameters of cnc router machine AKM1325C. 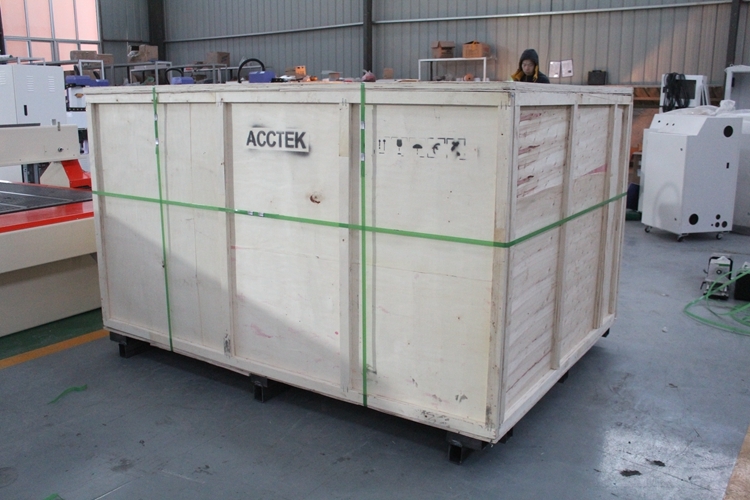 AccTek cnc router packaging & delivery. 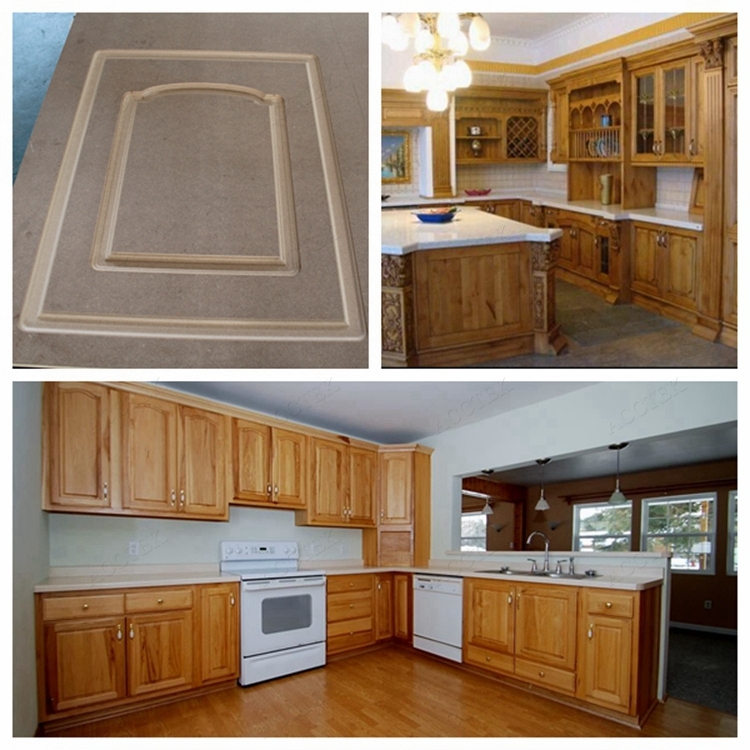 We use the Plywood packages case to package products.It will leave the goods in good condition. 4)Engineers available to service machinery overseas. Q: What should I do when I have some problems or questions? A: Pls don’t hesitate to contact us via Skype, WhatsApp, or email, we will reply u ASAP. If u are not satisfied with someone’s service, u can complain to our Boss. A: Before we pack each machine, we will test it first. If machine has problem in your place, our worker will take responsible for his mistake. And we will solve your problem. Q: Which is the most suitable model machine for me? A: Pls tell us your materials, thickness, size and business industries. Q:How about the documents after shipment?